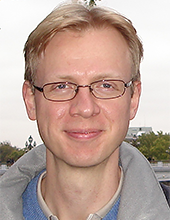 Morgan Johansson is adjunct professor at the Division of Structural Engineering within the field of Applied structural engineering. Morgan’s main interest is about impulse loaded structures, in which he also function as the technical specialist for MSB in Sweden. Other fields of special interest are finite element analyses in practice, reinforcement detailing in frame corners and crack control of restrained concrete structures. There might be more projects where Morgan Johansson participates, but you have to be logged in as a Chalmers employee to see them.